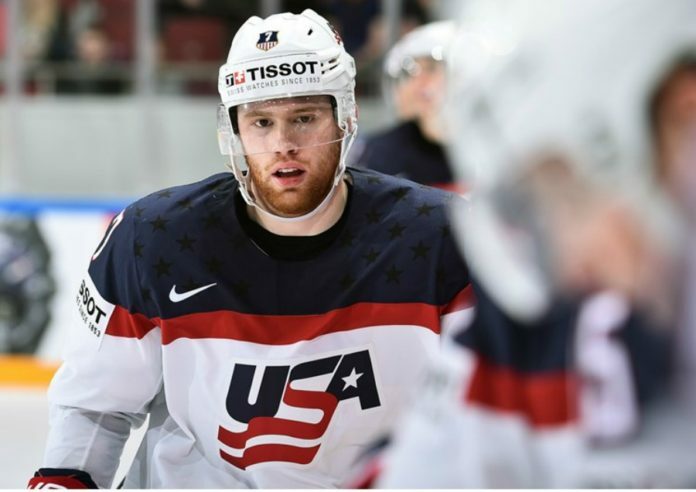 On Thursday, Colorado Avalanche prospect JT.. Compher lit the lamp for the first time whilst representing Team USA at the World Championship, contributing to the squad’s 4-0 thrashing of France. Though he has yet to play a professional game, he is currently representing the stars and stripes on the team’s third line. Compher, who served as captain for the University of Michigan Wolverines last season, seems to have a very bright future ahead of him. The question is: just how far away is that future? Just before the World Championship began last week, the Avalanche inked Compher to an entry-level contract; including a base salary and bonuses at a level usually reserved for the top-tier of prospects. This shows the team’s faith in his ability to contribute to their future. That future may begin as soon as next season. But should it? Is Compher ready for the NHL? Compher led the NCAA in assists last season, with 47 in just 38 games, finishing second in points with 63. He has shown hockey smarts and poise with the puck, two things the Avalanche could use a little more of. In addition to offense, he also brings some grit, leadership and responsibility in his own end; meaning that he could fill a bottom-six role. The major question with Compher is his size. Standing at 6’0” and weighing 183 pounds, he was able to hold his own at the college level; but may need to bulk up a little to avoid being pushed around by bigger, stronger NHL players. Another question in regards to Compher is fit. Barring a trade or buyout, the Avalanche will return seven forwards from last season. This number does not include Mikko Rantanen, who is expected to spend the entire 2016-2017 campaign with the Avs. It also doesn’t take into account the team’s three NHL-level restricted free agents, who could all return (Nathan MacKinnon almost assuredly will). The team will also likely look to add a top-six forward (perhaps bringing Mikkel Boedker back). Working in Compher’s favor in this regard is his versatility. Not only is he able to play on any line, he can also play any of the three forward positions. Spots may be limited up front for Colorado, but he can, in theory, fill any that are available. It’s always a risk playing a prospect too early, but fortune favors the bold. 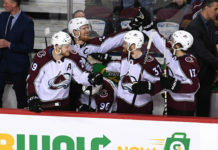 Avalanche general Manager Joe Sakic expressed his continuing faith in head coach Patrick Roy following the season, but that may not again be the case should the Avs fail to make the postseason for a third straight campaign. 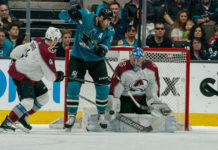 If it appears Compher can help Colorado again receive an invitation to the playoffs, he should be given the opportunity to do so sooner rather than later.